Instead, the Ohio farm girl’s life path led her to become a Wisconsin high school agricultural instructor and director of the Rock County Farm Bureau. She’s a teacher at Oregon High School, but a student as one of 10 individuals picked for the American Farm Bureau Federation’s Partners in Agricultural Leadership (PAL) program. “I enjoy personal development and working with like-minded individuals from across the nation with a passion for agriculture and leadership,” Jillian said of the training for members who have excelled in competitions for Farm Bureau members between the ages of 18 and 35. 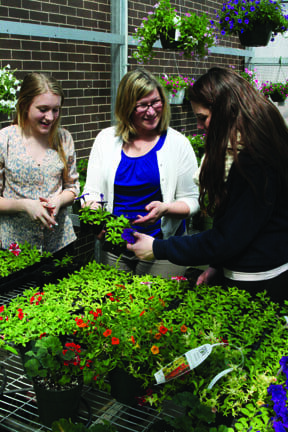 Making an impact is what drove her to teaching, and she clearly remembers the very moment she wanted to teach agriculture. A past winner of the WFBF Young Farmer and Agriculturist Program’s Discussion Meet and Excellence in Agriculture Award wasn’t always so polished at speaking in front of a crowd. As a high school freshman, she participated in the FFA creed speaking contest at the urging of her sister. Although she finished in fourth place, a technicality on how many students each school could send to the sectional competition allowed her to advance. “This ag teacher was so encouraging. It was a cool moment. I knew right then, I wanted to do that for people,” she said. She describes the Dane County community of Oregon as a rural-meets-urban school district. Her primary goal from enrolling in the PAL program was to develop her students’ confidence to talk about agricultural issues. As a PAL participant, Jillian has been immersed in the issue of animal antibiotics, as American Farm Bureau is training the 10 classmates to be spokespersons on the topic. 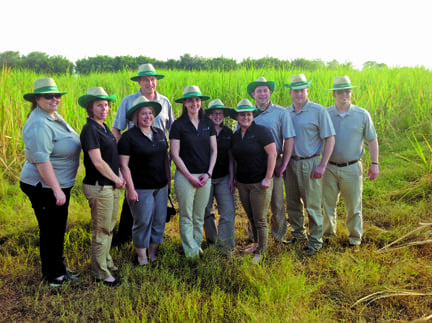 The two-year commitment, which included an agricultural tour of Brazil, began in April, 2013 and wraps up in February, 2015. “I expected it to be hard, but you never get stronger unless you go through an uncomfortable situation,” she said. Jillian grew up on a dairy farm in Ashland, Ohio. After her parents sold their herd of Brown Swiss and Holstein cows, they converted the farm to a three-season agri-tourism destination. Jillian was casually involved in Ohio’s “Farm Bureau Youth” program as a high school senior, but it was at Ohio State University where she served two years as the collegiate Farm Bureau president. She met her husband, Dale Beaty, at a FFA Alumni conference in Texas in 2003. They married in 2005 and reside in the Rock County community of Milton. Dale is WFBF’s Director of Training and Leadership Development. The American Farm Bureau Federation created the Partners in Agricultural Leadership (PAL) program to enhance leadership skills built through an individual’s participation in AFBF Young Farmers & Ranchers Discussion Meet, Achievement Award, Excellence in Agriculture Award and/or the AFBF Young Farmers & Ranchers Committee. The program is also made possible by sponsorships from Monsanto and the Farm Credit Foundation. The PAL program focuses on taking young farmers and ranchers who have already begun their personal development journey and moving them to the next level. The curriculum is designed to be a high-level executive type that provides participants with unique opportunities to represent agriculture when opportunities arise in the media, on speaking circuits or in testimonial arenas. 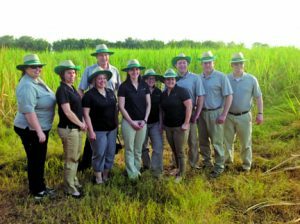 Program graduates may be best described as “advocates for agriculture” – stepping forward and promoting awareness about issues important to those in the farm-to-consumer food chain. Each state may submit one applicant and they will be evaluated on their knowledge of agriculture issues, leadership desire and the extent to which they offer leadership potential for agriculture’s future. For more information about the rules or request an application email pal@fb.org. Story by Casey Langan. Original version appeared in the June/July 2014 issue of Wisconsin Farm Bureau Federation’s Rural Route.